In a deal with prosecutors, Catherine Greig is expected to plead guilty today to charges of conspiracy to harbor a fugitive, identity fraud and conspiracy to commit identity fraud. 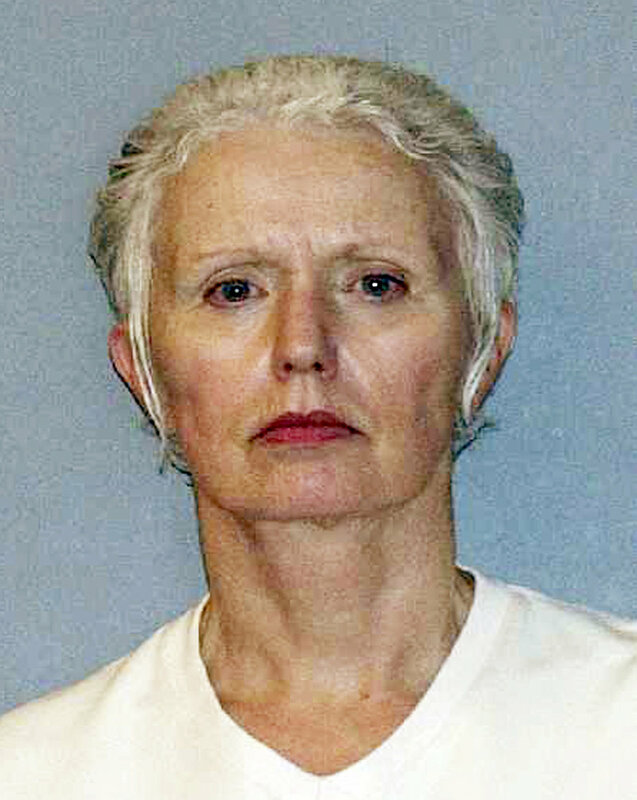 BOSTON — The longtime girlfriend of reputed Boston mob boss James “Whitey” Bulger is expected to plead guilty to charges she helped Bulger evaded capture during 16 years on the run. In a deal with prosecutors, Catherine Greig will plead guilty today to charges of conspiracy to harbor a fugitive, identity fraud and conspiracy to commit identity fraud. Bulger, the former leader of the Winter Hill Gang, is awaiting trial on charges accusing him of participating in 19 murders. Greig was captured with Bulger last year in Santa Monica, Calif.
Each of the charges carries a maximum sentence of five years, but prosecutors told families of people allegedly killed by Bulger that Greig could face as little as 32 months in prison under federal sentencing guidelines. Family members said prosecutors told them Greig will not testify against Bulger.